I stopped by Nordstrom to pick up YSL's Spring collection earlier this week and my favorite piece from the bunch in Golden Peach. The Golden Glosses are already my favorite lip product from YSL so it might not be a surprise that Golden Peach made me weak in the knees. 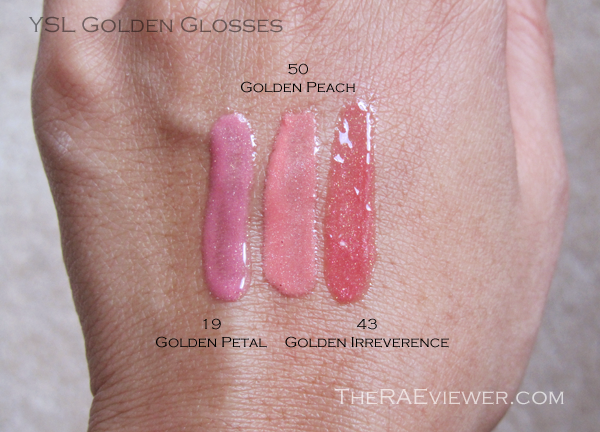 I love that Golden Peach actually reads as peach on my medium-pigmented lips against my light-medium skin. On fairer skins with pale lips, it might lean tangerine. The color can be amped up when worn with a peach lipstick underneath but I find it can stand alone just fine. Some of the bases of these Golden Glosses are ultra sheer, as with Golden Whisper (#10), which is one of my favorites from the color range. 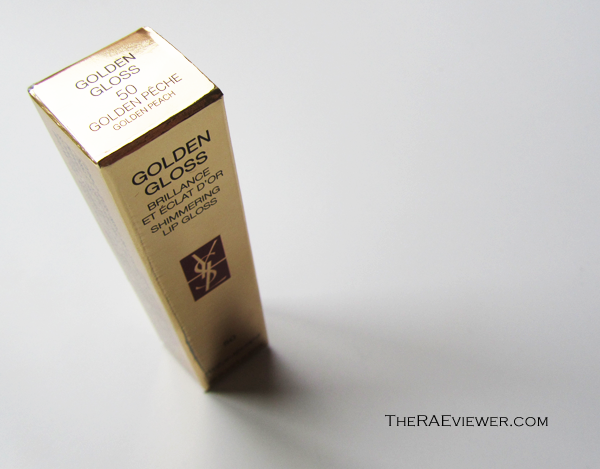 The luxurious addition of .02% 24k gold adds to the dazzling wet look of the glosses, providing the illusion of plumper lips without any of the irritating plumping ingredients. YSL calls it the mirror effect. The gloss is a touch tacky but that helps it last longer than your average gloss, about 3 hours of wear. I also noticed YSL altered the formula a bit to reduce the stickiness. It applies more smoothly, slightly watery but in a good way, with the brush applicator. I prefer the lighter new formula, and the boost in pigmentation is a definite bonus! 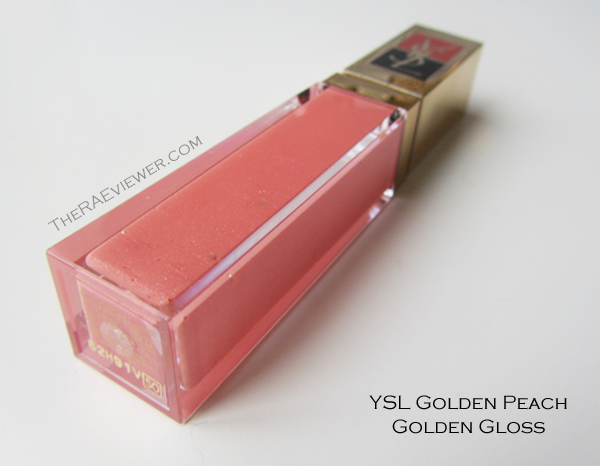 I have quite a few Golden Glosses since YSL Golden and Pur glosses were my first designer gloss purchases but I do not own anything as peach as Golden Peach. 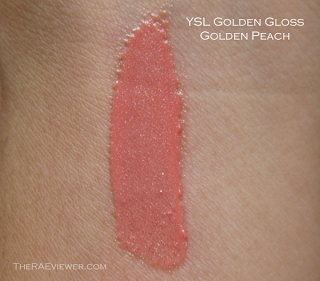 I selected two that looked the closest to Golden Peach in the tube for the comparison swatches below, but they are distinctly different. Golden Petal is a true neutral pink while Golden Irreverence is a jelly red-berry. Bottom Line: YSL produced the least wearable but still so 'delectable' and covetable eyeshadow quad for Spring (more on this later) but the lip glosses and lipsticks (to be reviewed tomorrow) from this Candy Face collection were impeccably done. The Golden Peach gloss is my favorite of the lip products and it is my top pick from the entire collection. It's limited edition so make sure you grab one before they're gone! i think swatches on the lips would be nice for your reviews on lip products!